I may be a lifestyle writer, but celebrity lifestyle newsletters elicit as much side-eye from me as from any other self-respecting cynic. (The mere mention of Gwyneth Paltrow's Goop gives me hives.) You can imagine my initial horror, then, when I discovered that my wannabe BFF Lena Dunham will launch a lifestyle newsletter, Lenny Letter. Does the world really need another celebrity lifestyle letter full of recommendations we can't afford and advice we don't need? More importantly, why didn't she ask me for advice first? Once I got over the betrayal of our one-sided friendship, which took quite a few sad viewings of Girls and repeated reminders from my sister that I "don't actually know Lena Dunham, Claire, come on," I realized that Lenny Letter actually sounds kind of awesome. (Also that it's totally possible to get tired of Girls.) Although the dreaded comparison to Paltrow's famed newsletter was made, editor-in-chief Jessica Grose described Lenny to BuzzFeed as "Goop meets Grantland ," a combination that promises to be entertaining at the very least. Furthermore, Dunham told BuzzFeed that Lenny will maintain an intellectual, feminist bent in addition to covering more typical topics like hair color and tube tops. 1. There's no such thing as TMI. "I think when men share their experiences, it’s bravery and when women share their experiences, it’s … 'TMI'," Dunham told NPR back in 2014. As a result, Lenny is designed to be a platform where there's "no such thing as 'too much information,'" according to the press release. Dunham has frequently spoken out about the need for women to protect each other. "Women spend so much time trying to align themselves with an image in the media that they can’t match,” she told BuzzFeed, “that their hostility towards themselves and others becomes overwhelming." The patriarchy does plenty to pit women against each other. We don't need to give it any help. Dunham is no stranger to drastic hair changes. Remember her ever-so-publicized pixie cut? What about the time she dyed it green? 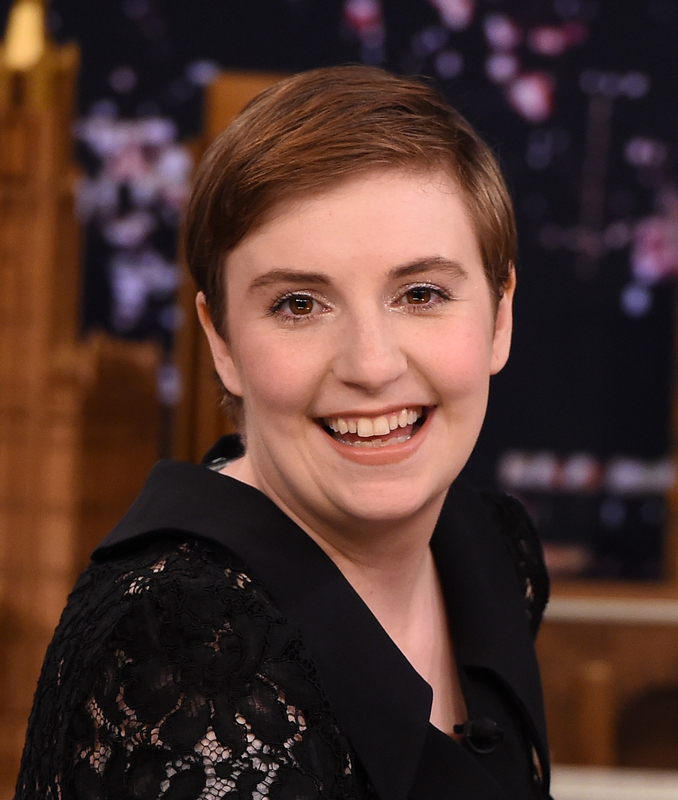 Whatever people say about her hair, you can count on Dunham ignoring it and doing her thing. 4. Bodies are beautiful. Period. Dunham is known for her refusal to buy into rigid body standards. "If I can do anything, as cliche as it sounds, to aid in the comfort of a woman accepting her form, then I want to do that," she told Gothamist in 2014. Not everyone has the same experiences, and there's more than one brand of feminism. Most importantly, it never hurts to share success with other women who don't have the same opportunities. "It’s our job as women who have been given a certain amount of success and visibility to pull other women along with us." Dunham told Variety. 6. ...But feminism is more than just calling yourself a feminist. "I have no problem with the pop culturization of feminism... but at the same time, it turns into a misunderstanding in which people think of feminism as ‘It’s feminist because I’m a woman and I’m doing it,'" she told BuzzFeed. "We’ll be allowed to show the ugly and complicated thought processes that go into forming your own brand of feminism, and your own identity, because it’s not all clean back here," Dunham said.